You can take the girl out of New York, but you can’t take New York out of the girl! 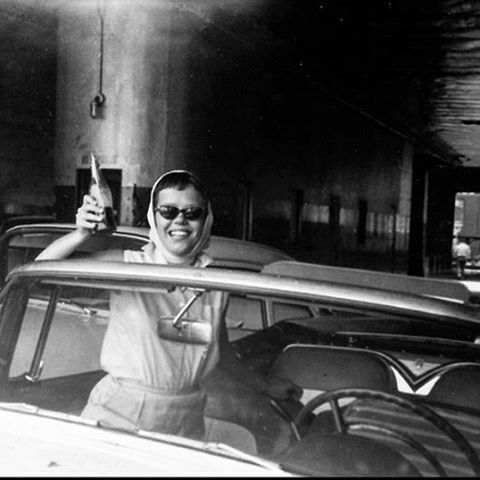 Posted by Rachel LaCour Niesen | analog · ancestors · ancestry · familyhistory · familyphoto · familyphotos · familysearch · foundphotos · save family photos · vintagephotos | Featured Family Stories | No Comments on You can take the girl out of New York, but you can’t take New York out of the girl! 1965. 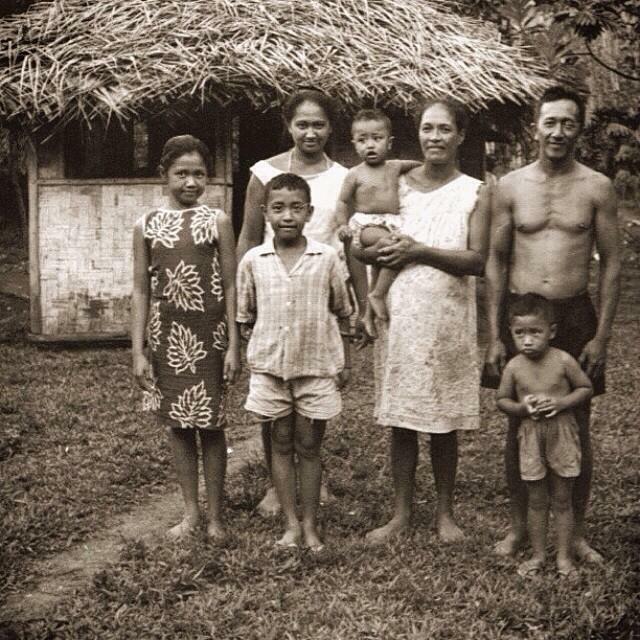 My mom (far left) was born and raised on the island of Raiatea (French Polynesia). 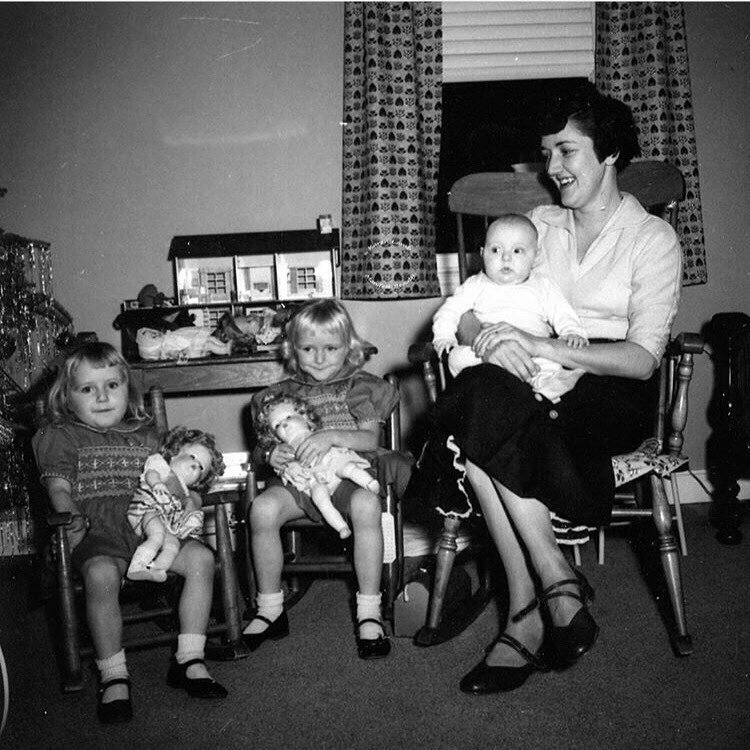 She is pictured here with 4 of her 9 siblings and my grandparents in front of their home. 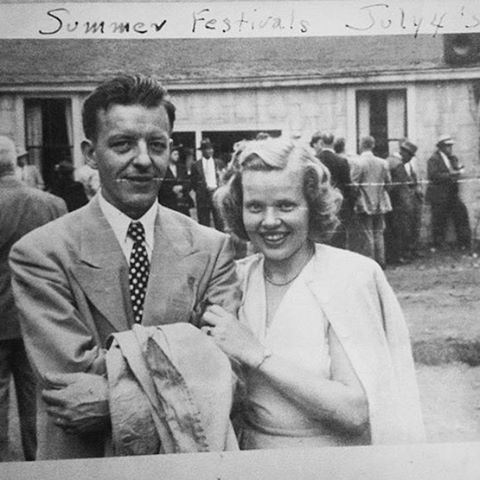 My grandparents got married without the support or consent of their families. They led a life of hard work on a farm, in very humble conditions. Gosh, we really have it SO easy. I’m grateful for the missionaries who not only changed their (and in turn mine) lives forever, but who were also able to document this. I just wanted to express to you how much you mean and how much you have influenced my life. You have always been a cheerful giver, always selfless. No matter what, you always had something to give us grandkids. Whether it was a piece of candy or some amount of money (a dollar bill or a $25 check), it meant so much. I always loved receiving your letters and cards in the mail, especially when I was away at college. Whenever I was homesick, I would read them and feel like you were with me. Whether it was your sweet words of encouragement, a Bible verse, or a silly poem about how much you loved me, your letters meant so much to me. I cherish those words and all the time we spent together. Your prayers, your songs and your overflowing love lifted me up and helped me become the woman I am today. I am proud to be your granddaughter. I love you so much Grammy. I wrote this letter to my Grammy, Phyllis Moore, before she died. I was able to say my goodbyes and read it to her in person. Wishing the happiest of birthdays to the lovely lady who taught me how to both knit and crochet, drink coffee with class (and with the proper amount of cream), and barter with garage-sale hosts. She fostered my love for Alan Jackson and encouraged me to be myself. 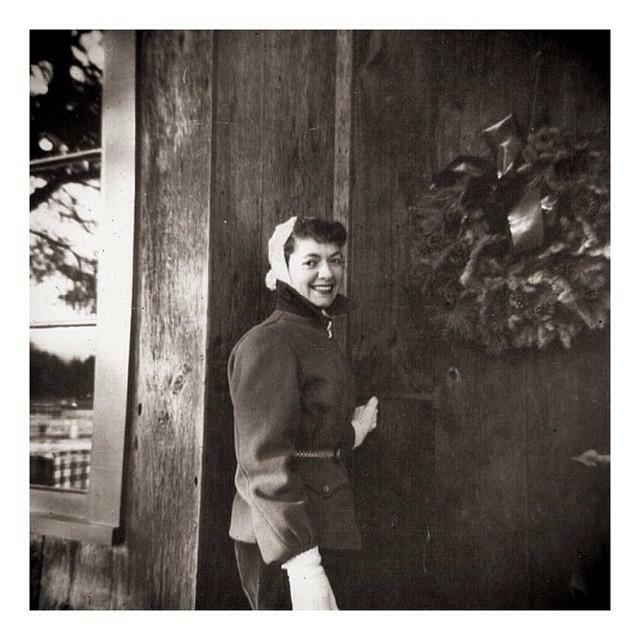 I owe many things, including my thrift-store prowess, knack for collecting, and unflinching love for family, to my Grandma Vivian. Photos are artifacts of our experiences and existence, memories made visible. 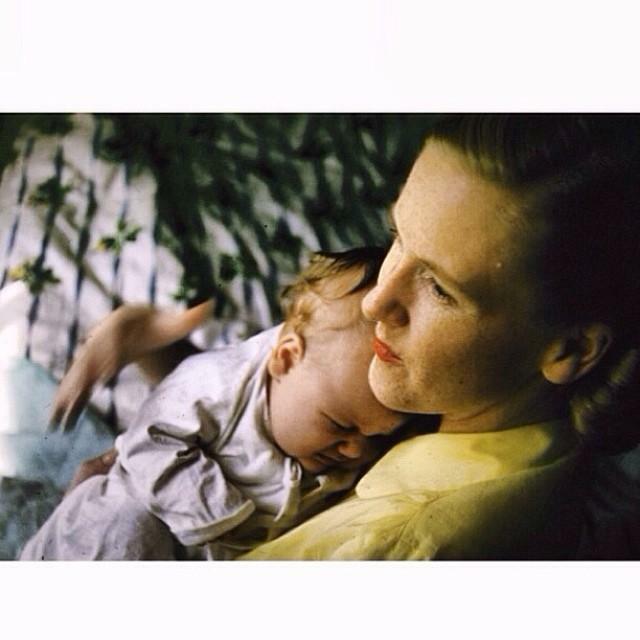 This is my beautiful grandmother holding my uncle, photographed by my grandfather in the late 1940s on Kodachrome with his trusty Leica camera. 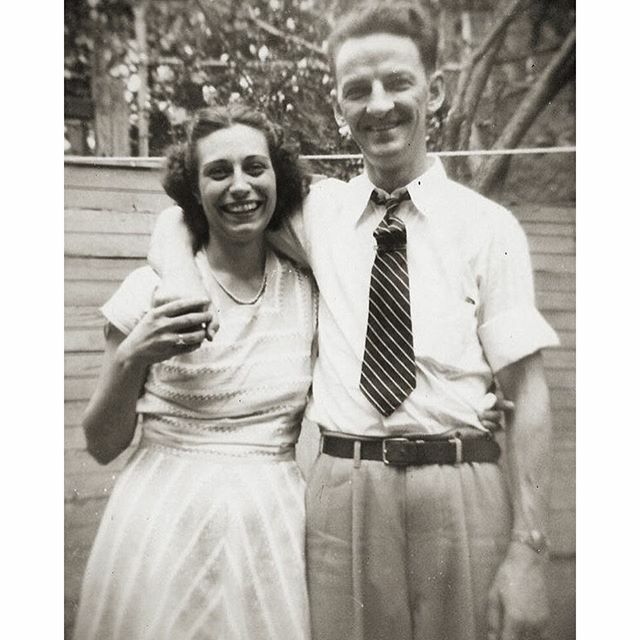 My grandparents are both 90 years old now, and are high school sweethearts. They were born, raised, and still reside in Cincinnati, Ohio. My grandfather was in the Navy and then worked as a banker, but always loved taking pictures. He has been a camera enthusiast his entire life but never pursued it professionally. Even now in his old age, he’s using a digital camera which he uses to compile what he calls “The Weekly Blather,” a newsletter of sorts, containing his photos, newspaper clippings and a two-page typed letter about the comings and goings in the family. He sends it to about 30 people (friends and family) — it’s something he’s done for almost 35 years now. In addition to “The Weekly Blather,” now we are also getting morning emails with a small tidbit about what him and “Barbie” (his nickname for my grandmother, Barbara) are doing along with any photos he has deemed interesting. 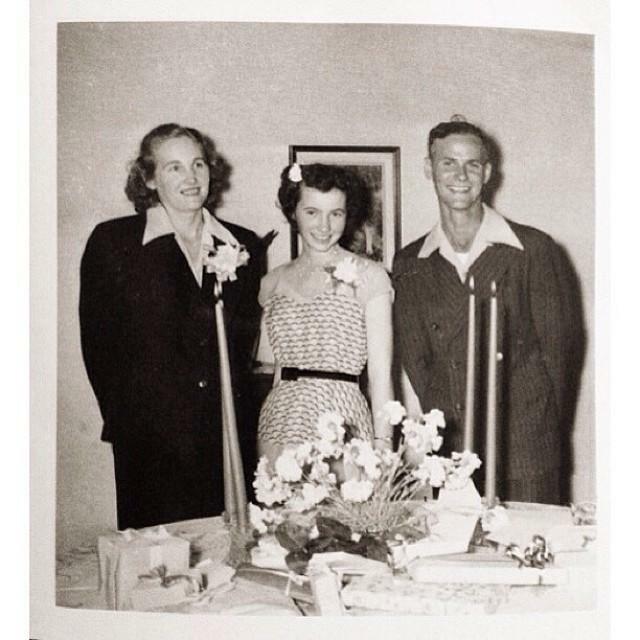 To the wonder of old pictures, childhood memory, and family legacy. That’s my Grandpa on the left and his brother, Dickie, on the right. 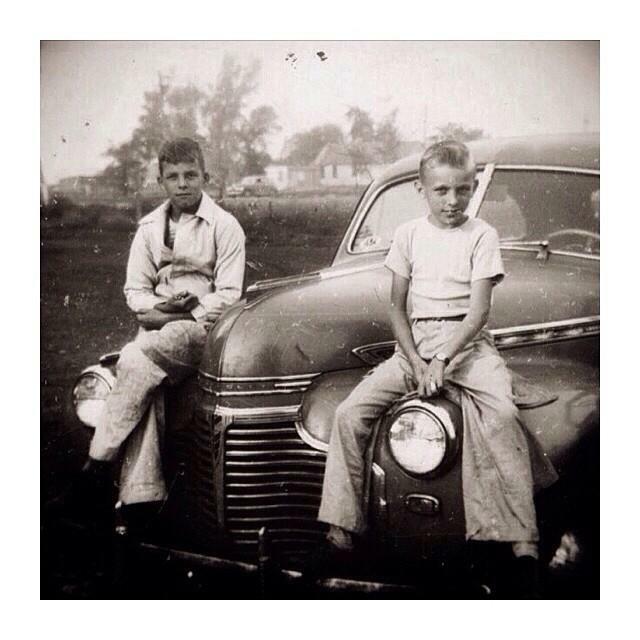 This photo was taken when they were little boys growing up in Toledo, Ohio. © 2014-2019 LaCour-Niesen Media LLC. All rights reserved.